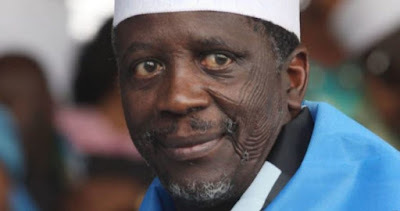 A former governor of Sokoto state, Alhaji Attahiru Bafarawa, on Friday expressed fears that the 2019 elections may be stalled unless the Federal Government quickly finds an enduring solution to the persistent killings in Benue State. The ex-governor stated this during a condolence visit to Benue State Governor, Samuel Ortom, on the recent mayhem in the state. He said there can be no election in a state of uncertainty and unrest. He said: ”Why would there be elections in 2019 where there is no peace? He said Benue has produced Nigerians who have played active roles in uniting, adding there can be no north without Benue State. Bafarawa added: ” Chief Audu Ogbeh and Senator Barnabas Gemade, at different times, became national chairman of the People Democratic Party (PDP),because they are from the north and the slot was meant for the northern part of Nigeria. The former governor described the killings in Benue State as politically motivated and therefore should be resolved politically. He attributed the Benue killings to foreign Fulani, saying: ”The Nigerian Fulani who settled and live among Tiv people speak Tiv fluently. “But these immigrants don’t speak Tiv language and don’t know who is who. “Therefore, the problem is solvable. What government needs to do is to block these people from coming into the country. He asked President Muhammadu Buhari to involve all stakeholders irrespective of their political affiliations to come together and solve the problem.